Do you have any Disney Pixar Cars fans at home? Mine have been since they seen the first movie and are SO excited for Cars 3 to hit theaters! 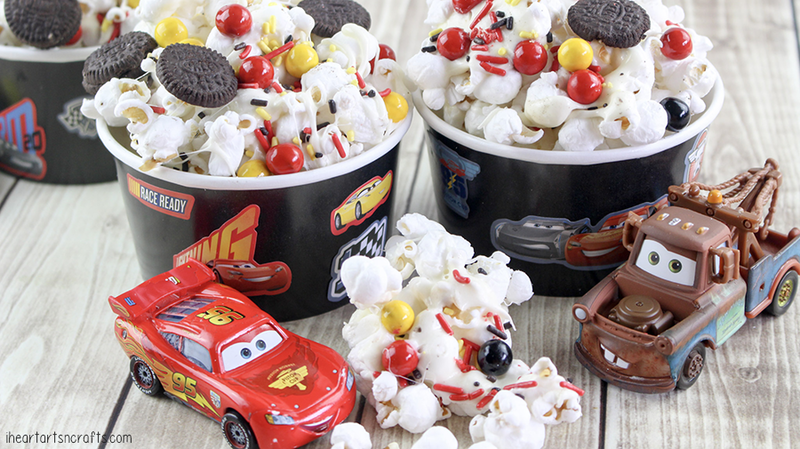 These treats we’re sharing today are perfect for your Lightening McQueen fans or if you’re planning a Cars themed birthday party you can whip these up in no time. 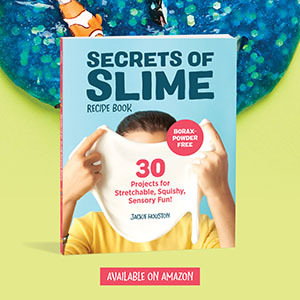 And this sweet and salty snack is so addicting, the kids will love it! 2. 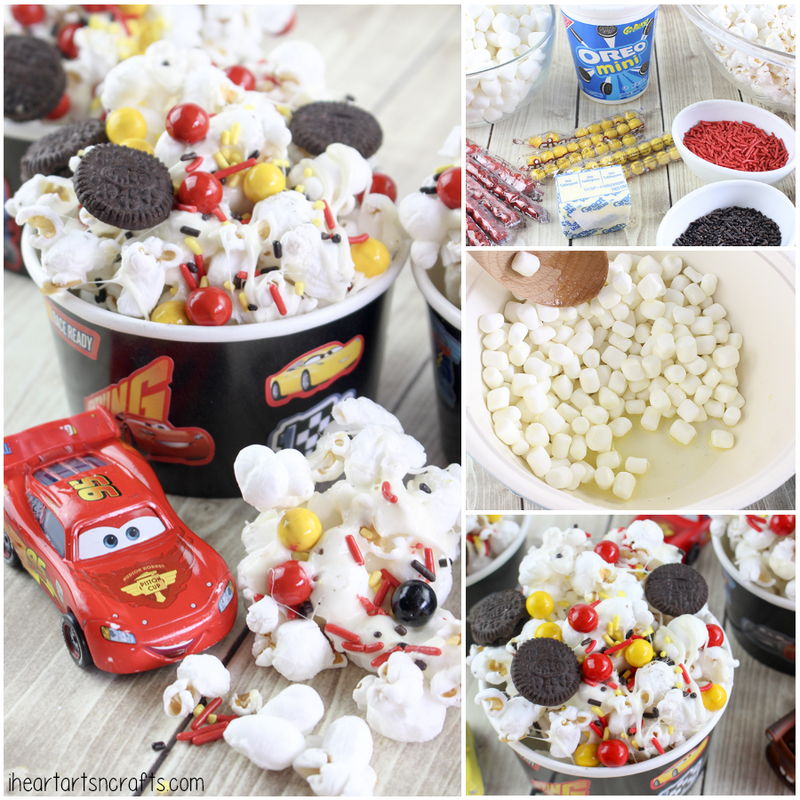 Pop your popcorn according to directions and pour into a large mixing bowl. 3. 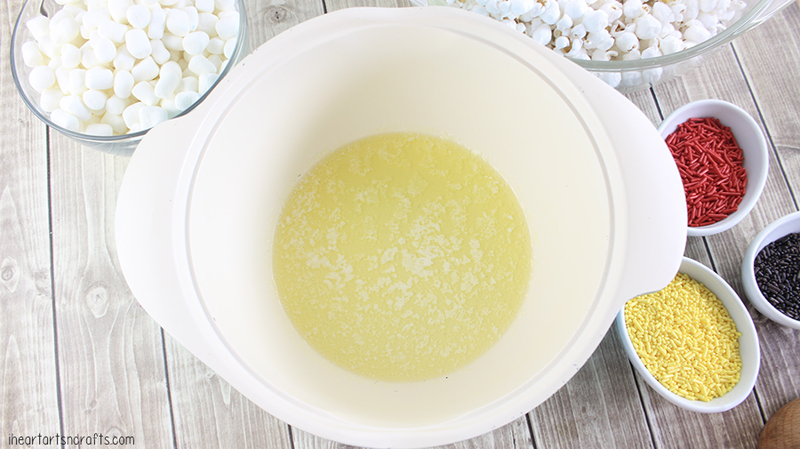 In a large Dutch oven or saucepan, melt the butter. Add the marshmallows and stir occasionally until melted. 4. 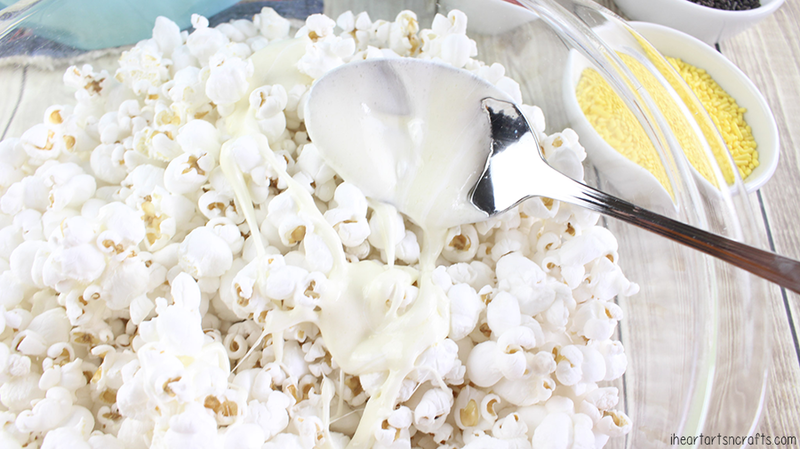 Drizzle the melted marshmallow mixture on top of the popcorn and toss to coat. Lightly salt to get a sweet and salty combination. 5. 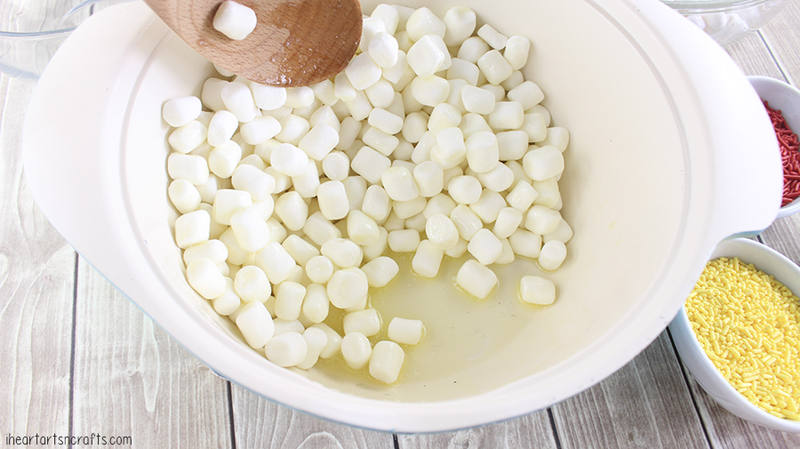 Transfer the marshmallow-coated popcorn to the lined cookie sheet. 6. 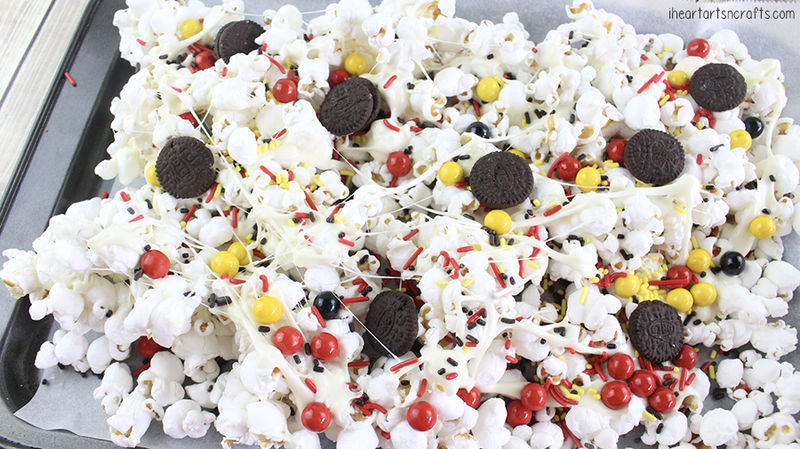 Immediately sprinkle the sixlet candies on top of the popcorn, along with the sprinkles. You need to do this rather quickly (while the marshmallow is still warm) or the candy will not stick. Scatter the mini Oreos on top. 7. To serve, place in individual bowls. ENJOY! !